Gurgaon, Ghaziabad, Faridabad, Noida and Bhiwadi are ranked in the top 6, suggests the report. 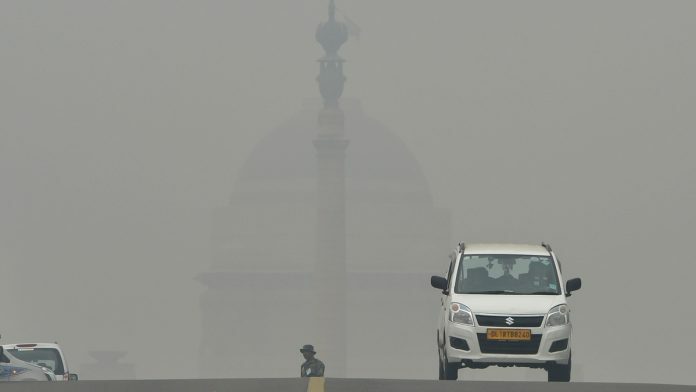 New Delhi: Fifteen of the 20 most polluted cities in the world are in India, with Gurgaon, Ghaziabad, Faridabad, Noida and Bhiwadi in the top six, according to a new study. India’s national capital region (NCR) emerged as the most polluted region in the world last year, data compiled in the new report states. The latest data compiled in the IQAir AirVisual 2018 World Air Quality Report and interactive world’s most polluted cities ranking, prepared in collaboration with Greenpeace Southeast Asia, reveals the state of particulate matter (PM2.5) pollution last year. Out of the 20 most polluted cities in the world, 18 are in India, Pakistan and Bangladesh, the report said. India still has 15 out of the 20 most polluted cities in the world, with Gurgaon and Ghaziabad being the most polluted cities, followed by Faridabad, Bhiwadi and Noida being in the top six, with Delhi on the 11th spot, it said. China’s capital Beijing, once among the most polluted cities in the world ranked 122nd in the list of the most polluted cities last year based on PM2.5 data, but is still at least five times more polluted than the World Health Organisation annual safety limits of 10 g/m3. Database comprising of PM2.5 data for more than 3,000 cities reminds us of grim health emergency the world faces from air pollution again after the WHO air quality database released last year. The report identified some of the major sources or causes of ambient air pollution. “Industries, households, cars, and trucks emit complex mixtures of air pollutants, many of which are harmful to health. Of all of these pollutants, fine particulate matter has the greatest effect on human health,” it said. “Most fine particulate matter comes from fuel combustion, both from mobile sources such as vehicles and from stationary sources such as power plants, industry, households, agriculture or biomass burning,” the report added. Environment activists have expressed concern and said government programmes to clean air should “do more than making political statements”. Pujarini Sen, an activist associated with Greenpeace India, said the report is “a reminder to us indicating that our efforts and actions to reduce the invisible killer”. “If we want India to breathe clean air, it is high time that our plans such as National Clean Air Programme, Graded Response Action Plan, Clean Air Programme becomes much more stringent, aggressive, legally binding and most of all implementable at ground rather than just being used a political statement without much happening at ground,” Sen said. Jyoti Pande Lavakare, co-founder Care for Air NGO, said Delhi and neighbouring areas have held dubious distinction of being the most polluted places in the world, so this report is not news. “Delhi will remain the most polluted unless we make a concerted effort on a war footing from the top down to clean the air. What we need is a Clean Air Czar – an empowered, accountable authority whose single goal is to reduce pollution in our country through measurable and time-bound actions,” she said. “This is a national public health emergency and we cannot afford small, incremental progress. We need strong, focussed action that befits a real emergency,” Lavakare added. Ravina Kohli, environmentalist and a member of #MyRightToBreathe campaign, said the country lacks the “political will” to make public health a priority. “Just because health issues does not historically convert to votes, politicians have slashed budgets, ignored this public health emergency and compromised citizens lives. But the cry of the most vulnerable and the most undeserved…#NoSaansNoVote… will ring through soon. Human lives will matter more than political gain if we have true leaders in charge,” she added. Ashutosh Dikshit, CEO of URJA, said, “Inevitable. Has been for a long time and people just nit pick over data and monitoring and research. The government fuels this confusion and has been callous. “It is for the government to promote eco-friendly industries and construction solutions as well as hasten the usage of better fuels for automobiles, as well as two-wheelers that are also major polluters. The pollution control boards are toothless and ill-equipped,” he added.